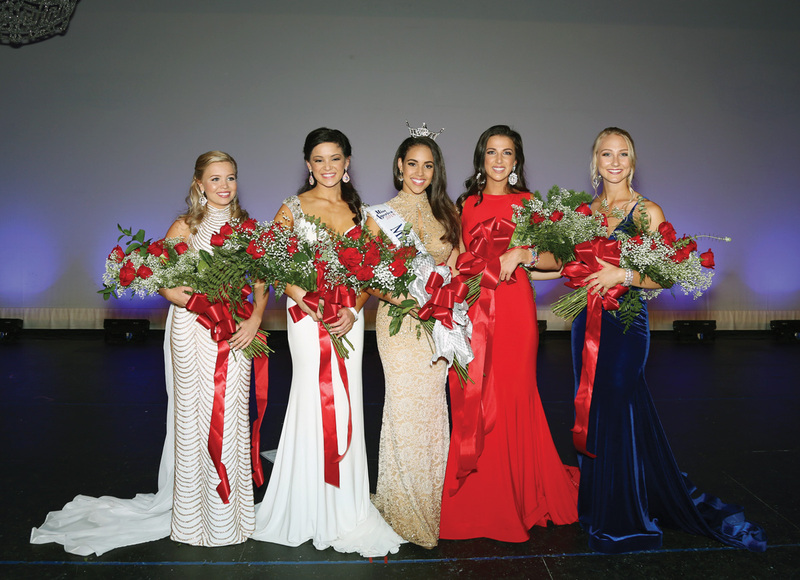 Miss Delaware’s 2018 Court included, from left: Riley Slate, Miss Greenville, third runner-up; Rebecca Gasperetti, Miss Hockessin, first runner-up; Miss Delaware 2018 Joanna Wicks; Emily Beale, Miss Blue Gold, second runner-up; and Lauren Haberstroh, Miss Newark, fourth runner-up. 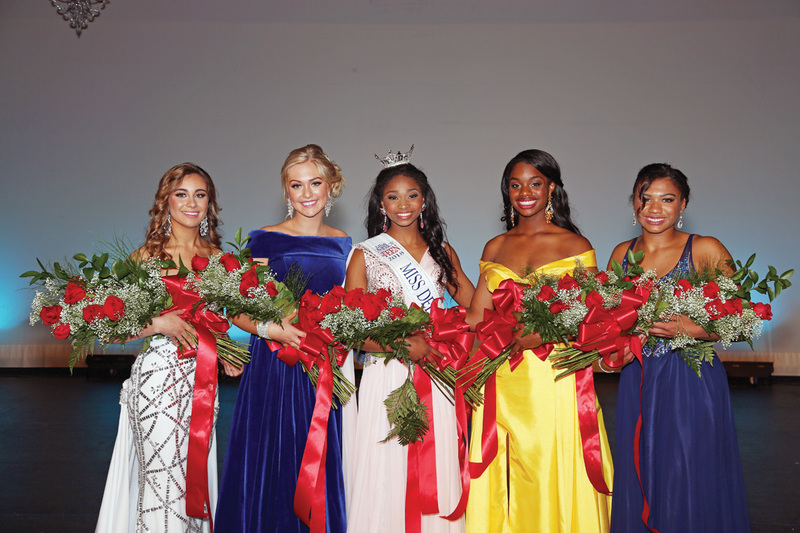 Miss Delaware’s Outstanding Teen 2018 Court included, from left: Emily Jer-Don, Miss Blue Diamond’s Outstanding Teen and third runner-up; Jenna Anger, Miss Diamond State’s Outstanding Teen and first runner-up; Sky Knox, Miss Delaware’s Outstanding Teen 2018; Jacqueline Means, Miss New Castle County’s Outstanding Teen and second runner-up; and Taylor Richardson, Miss Hockessin’s Outstanding Teen and fourth runner-up. Sky Knox, Miss Newark’s Outstanding Teen, was named Miss Delaware’s Outstanding Teen 2018 on June 15 evening at Cape Henlopen High School in Lewes. She will represent Delaware at Miss America’s Outstanding Teen in late July, in Orlando, Fla.
Knox won the overall interview award and overall talent award, as well as People’s Choice award. Her win secured her more than $2,000 in scholarships, as well as well as gifts and services from a variety of sponsors statewide. On June 16, Joanna Wicks, Miss Wilmington, was named Miss Delaware 2018 at Cape Henlopen High School. She will represent Delaware at Miss America in September. Wicks was the first runner-up for the Carol Maclary Excellence in Education award and the overall Lifestyle & Fitness award. Her win secured her more than $10,000 in scholarships, as well as well as gifts and services from a variety of sponsors statewide. Wicks is currently a teacher at St. Thomas More Academy in Magnolia. The evening’s top talent award went to Rebecca Gasperetti, and Miss Congeniality was Riley Slate. Rebecca Gasperetti was also the winner of the Carol Maclary Excellence in Education top award, the Debi Wilson Community Service Award and the Miss America State Community Service Award.